Nowadays it has become mandatory to take care of your skin because of the pollution that is increasing day by day. Due to pollution, our skin becomes oily and looks very dull. For that we need a great oil free moisturiser that could help us well. 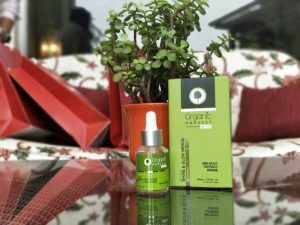 Organic Harvest Shine and Glow Cream and Serum falls very well in this category.Both the products lies in Iris Root Extract Range so here i am going to do the Shine and Glow review. The Shine and Glow cream (with berries extract) is an awesome lotion. One must it for try clear and sparkling skin for throughout the day. When you take the cream out and apply it all over, you will feel smoothness on your skin. Likewise, you will encounter sparkling and shining skin the similar minute. It drench your flawed skin with happy portion for an everlasting rejuvenated effect. The blend of Beet root extract and Bearberry with a trace of Iris root extract helps the skin retain back the moisture and elasticity, thereby, conceals skin imperfections and adds natural freshness to the skin. The exotic aroma and smooth texture will leave your skin delighted throughout the day. In order to get the best results, apply the cream on your face using the fingertips evenly on the face and neck in an upward direction twice a day. 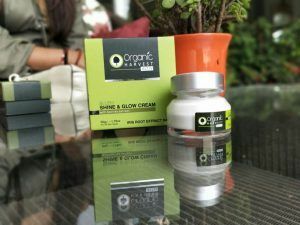 The amazing Shine and Glow Cream just cost 1495 INR. 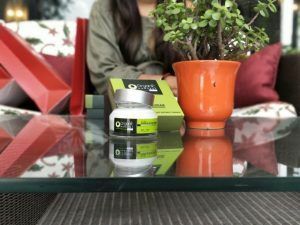 The price is super cool for such a product that is organic and holds immense benefits. Using a Serum after a moisturiser gives more soothing effects.The Shine and Glow Serum is non sticky and enhances your looks. The beautiful concoction of the gold dust with Beet extract and Iris root extract imparts glow while smoothing out the signs of dullness. The concentrated nutrients work in multifold by penetrating deep into the skin, bringing sheen for a prolonged time. 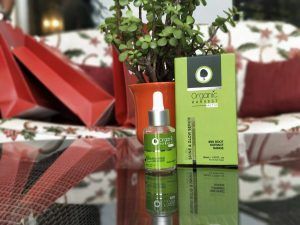 The amazing Shine and Glow Serum is just cost 1195 INR. 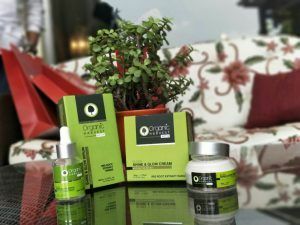 If the customer is not satisfied with the quality of the product, They can send the same back to team at Organic Harvest Company , A Block , 1st Floor, Hafed Complex, Lawrence Road , New Delhi – 110035 along with your name, address and phone number. The company will refund the full money or will replace the same with the other product of the choice. The product should not be used more than 50%.